A dedicated clubwoman for 31 years, GFWC Secretary Wendy Carriker has served her community, district, state, region, and GFWC with passion and enthusiasm for the programs and projects supported by clubwomen everywhere. Joining the Mount Airy Junior Woman’s Club as a newcomer to the community, she was quick to get involved, serving in all offices, including club president. 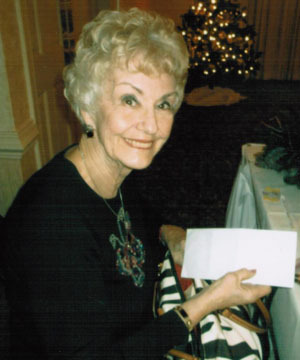 Wendy then joined the Woman’s Club of Mount Airy and is a charter member of the Woman’s League of Mount Airy. She has held leadership positions in all three clubs including president. She also served her district and state in many leadership roles, including GFWC-NC Director of Junior’s (2000-2002) and GFWC-NC District President (2002-2004), and then served on the GFWC-NC Executive Committee from 2002 until serving as State President in 2012-2014. She also served GFWC as Libraries 2000 and Beyond Committee member as well as GFWC Communications and Public Relations Chairman (2014-2016). While State President, her emphasis was “Honoring the Past, Connected to the Future” and together with the State Director of Junior Clubs, she led the state to a successful special project, feeding and supporting food insecure children across the state of North Carolina. A new GFWC-NC membership video was also produced and distributed to every club and district as well as shared on social media. Wendy is also a volunteer at Victory Junction Camp, a camp for chronically ill children, which was a GFWC-NC State Special Project when the camp was founded in 2004. Elected to serve on the Mount Airy City Schools Board of Education for the past 20 years, she has served as chairman since 2004. She is also a board member of NCASA (North Carolina Association for Scholastic Activities) and has served on the NC School Board Association Board of Directors. The owner of Wendy Jane Creations and Megan’s Mutt Munchies, she stays busy creating and baking. She and her husband Chip have two daughters. 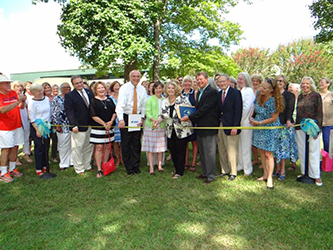 The Chapin Woman’s Club has been an integral part of the Chapin, South Carolina community since 1971, and as a result has achieved great credibility in the area.